● Travelers can save as much as 30% on room rates with advanced bookings at any participating Berjaya Hotels & Resorts. ● They can also check out the promotions section for deals and offers on selected destinations. ● Berjaya Hotels & Resorts offers a Best Rate Guarantee which promises to give an additional 10% off, in addition to matching any lower rate being offered on a competing website. 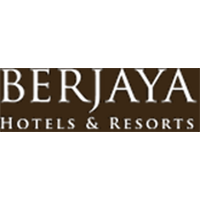 Berjaya Hotels and Resorts represents a chain of hotels and resorts with a wide variety of locations. These hotels and resorts offer premium locations, luxury accommodations, and all of the amenities a person could ever need. These hotels are ideal for weddings, special events, or for those who want to take advantage of exciting vacation opportunities. Those who are looking for a diving adventure, a memorable golf experience, or the opportunity to take advantage of a spa getaway will have the chance to learn more about what Berjaya Hotels and Resorts are capable of doing for them. You can use the website to learn more about the hotels and make bookings. For most up to date offers check out Berjaya Hotel on Facebook and Twitter or contact Berjaya Hotel Support for any questions.